If you're new to Qwilr, it's important to know how to format your text. You'll do all of this within our editor. Once you have text in the block you'll be able to highlight the text and then make changes with the editor that pops up. 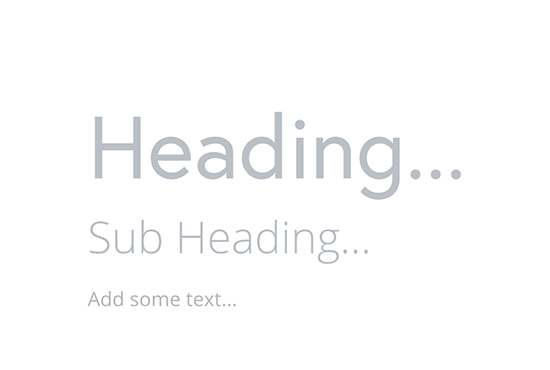 To make text a heading, highlight it and choose either H1 (largest) or H2 (smaller heading option). Click them again to make your text be normal again. If you want to bold text, highlight the text you want to change and choose the B option in the toolbar. If you want to italicize text, highlight the text you want to change and choose the i option in the toolbar. If you'd like to format text like a quote (great for testimonials from customer!) highlight that text and choose the ❝ icon. That will add formatting to call attention to your quote. You'll be able to add ordered and unordered lists as well as adding in sublists. To add a list highlight the text you want to listify and in the toolbar choose ordered or unordered. To make something a sub-item use your tab key. To move those items back up a level hold down shift while tabbing. To completely remove the bullets or numbers use your delete/backspace key. To add a link, highlight the text you want to link and then click on the link icon. If you've already copied the URL you want to have linked you can skip clicking on the toolbar and simply paste once you've highlighted your text. We'll link it with what's on your clipboard. Once the toolbar opens, type in or paste your URL. If you want to add an email link you'll want to format it as a mailto link. Example: mailto:help@qwilr.com . To remove a link mouse over the link you've added and in the toolbar click the remove option. Links: ctrl or cmd + k . You can also copy the URL and then highlight the text you want links and paste. We'll automatically make it a link.